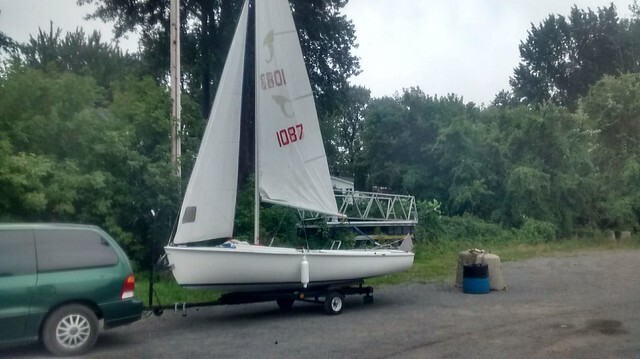 I bought a nameless boat! The poor thing! No un-naming to do! I made the board scratch proof. It should be OK.
One more thing.....YOUTUBE VIDEOS. Don't forget. I have a name but I will not say it until the ceremony is done. There it is! The name is "Papou" It sounds "Papoo" to you my english speaking friends! Papou is the name my grandchildren call me! That boat moves well in almost no wind at all! Excellent name Michel. Well done. 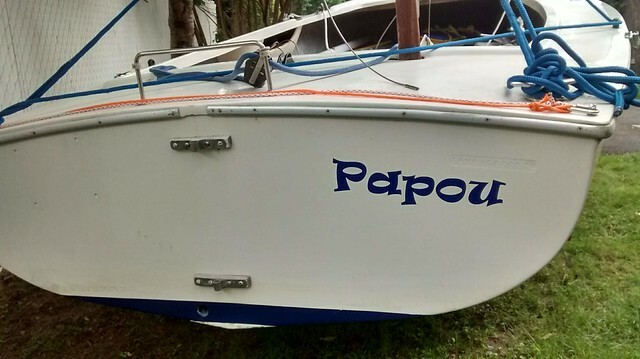 Have you had a chance to sail Papou yet? Yes Jacques! I was pleased by the way it moves in almost no wind at all! Now I will have to remember that she is a dinghy when the wind will pump up!